The Department of Classics encourages its majors and minors to study abroad to enhance their understanding of the classical world. 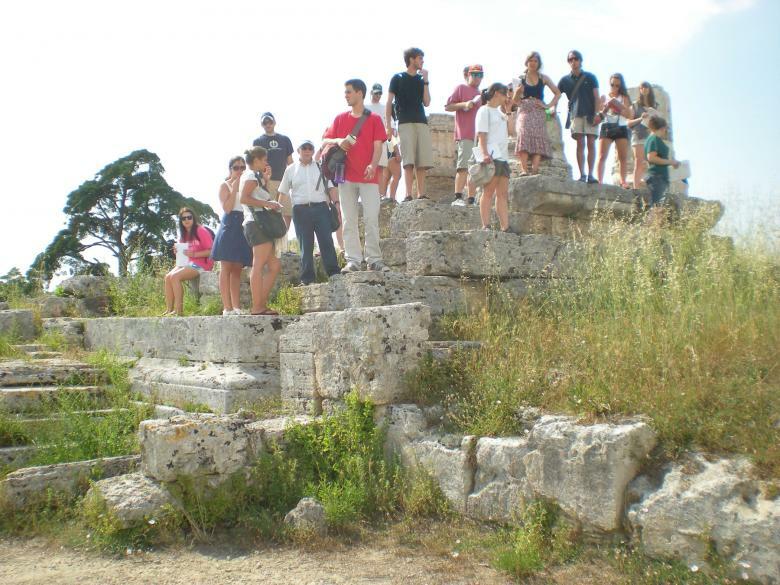 The Department operates two of its own study abroad programs, UGA Classics in Rome which offers undergraduate students nine hours of course credit during the summer and UGA Classics Europe Unearthing the Past which offers undergraduates six hours of course credit in Maymester with itineraries in Europe including Greece, Italy, France, England, Scotland and Spain. The Department of Classics also belongs to the Intercollegiate Center of Classical Studies in Rome (ICCS), the American Academy in Rome (AAR) and the American School of Classical Studies in Athens (ASCSA), all of which offer study opportunities for Classics students. Students may also want to consider other Study Abroad opportunities offered by the University of Georgia and other institutions, such as College Year in Athens (CYA), or consider participating in an excavation on a classical site. Follow the links for additional information on all these programs or consult the Undergraduate Coordinator. The 45th Anniversary Reunion of the UGA Classics Study Abroad Program - Check back for details for the 46th Anniversary Reunion! Upload your photos and stories to our Facebook group!